NOTE: This post was written for Ocotillo Friends. Visit them at http://www.ocotillofriends.com. In search of a handcrafted cookie in a certain theme? Seeking the best burger or taco in town? What about a pediatrician or a plumber? We in Chandler are blessed with an abundance of small businesses and a great way for those businesses to grab our attention in Facebook Groups, like Ocotillo Friends. Collectively, we users of OF are what the marketing biz likes to call “Brand Ambassadors” when we review or brag about our experiences with our business neighbors. Brand Ambassadors are members of a specific audience “who have influence or reach to other members of the same or similar audiences.” Simply put, we have “sipped a company’s Kool Aid” and are not afraid to tell our friends and family about it! If you’re the small business owner here in Chandler (or in any city for that matter), you keep your ear to the ground for the latest and greatest ways to reach potential customers with maximum ROI (return on investment). If you have witnessed the power of Brand Ambassadors online (like we have on OF), you might be wondering how you can bottle that interaction for use for different promotions. Enter the professional Blogger. According to Hubspot (one of the leaders in inbound or content marketing), more than 70% of consumers stated that blogs affected their purchasing decisions. More than 80% of internet users read blogs at least once a day. Bloggers can advocate for your business and are usually compensated based on their reach and influence. Just like a newspaper or magazine has subscribers, Bloggers have reach (their audience). The bigger the reach, the more expensive it usually is to engage their services. However, Bloggers (if properly vetted for your brand) talk directly to your target audience and 88% trust these influencers more than traditional media, according to Nielsen. Between 80-90% of purchasers check online reviews and third party pages before selecting a product or brand. Blogger interaction stimulates this activity. Lastly, Bloggers share, distribute and amplify your content, create Inbound Links directly to your site. Google loves them and so the SEO benefits are enormous. This will continue to support your market share and help make sure people find you online. Influencer niches included lifestyle, food, diy/craft, beauty, travel, and family. 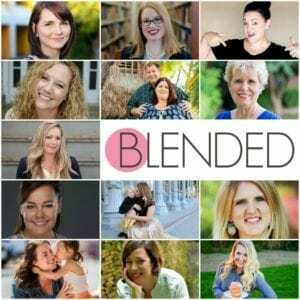 Blended is looking to work with both local and national brands like yours and put you in front of more than 100 bloggers, one or more of whom could become your next Brand Ambassador! To find out more, please contact me or go online to http://blendedconference.com to find out more about the blog/brand networking sessions and much more!